Ahhh, Autumn is here and pumpkin is in the air. I discovered late in life that I love pumpkin! Pumpkin spiced latte’s, pumpkin pie, pumpkin muffins, pumpkin pancakes, the list really does go on. 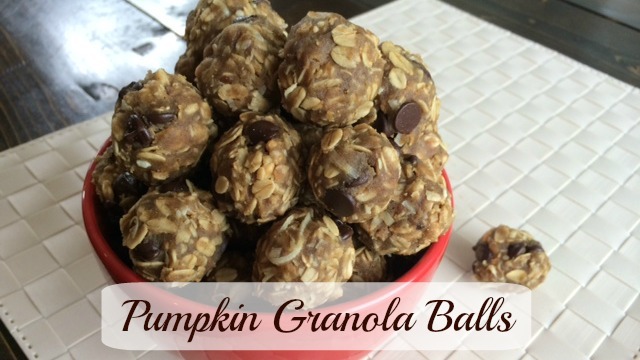 So I decided to take one of your family’s favourite snacks, no-bake granola balls and infuse some pumpkin flavour into them. The experiment turned out pretty well and Pumpkin Granola Balls were born. 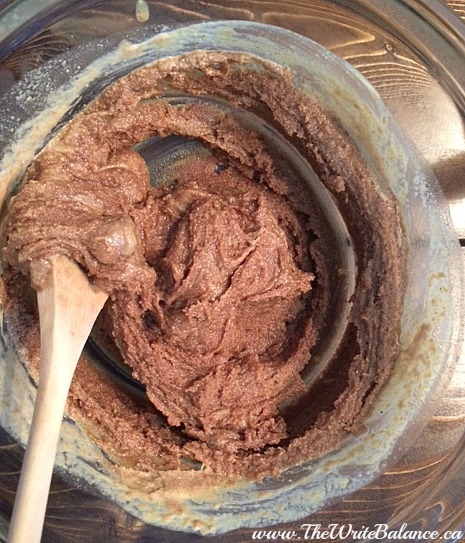 1 cup of pumpkin seed butter – I used Omega Nutrition Pumpkin Seed Butter but if you’re so inclined, you can even make your own. 1/3 cup of milk – either almond or dairy work well. 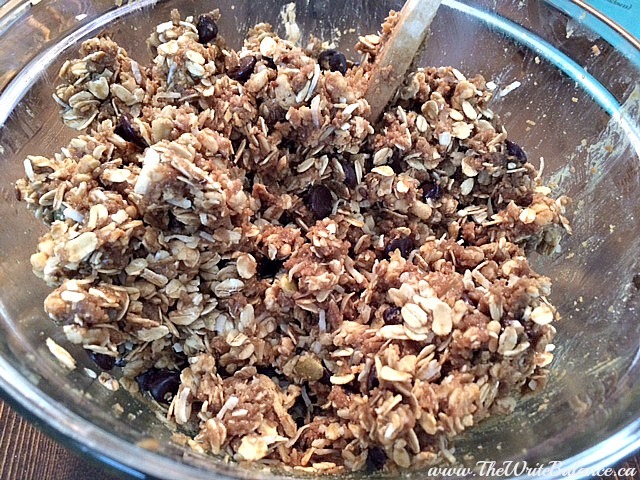 1 cup of pumpkin granola – I used Nature’s Path Pumpkin Flax Granola. 1. Mix the pumpkin seed butter, milk and vanilla in a large bowl. Keep mixing until it all becomes smooth and creamy. 2. Add in the rest of the ingredients; pumpkin granola, gluten-free oats, shredded coconut and chocolate chips. 3. Mix until everything comes together and is well combined. 4. Take a couple spoonfuls in your hand and make it into a ball. Do that for the entire batter. 6. Take them out of the fridge and they are ready to eat! These are great snacks to take on the go and they work well for your child’s lunch box because they are nut-free. 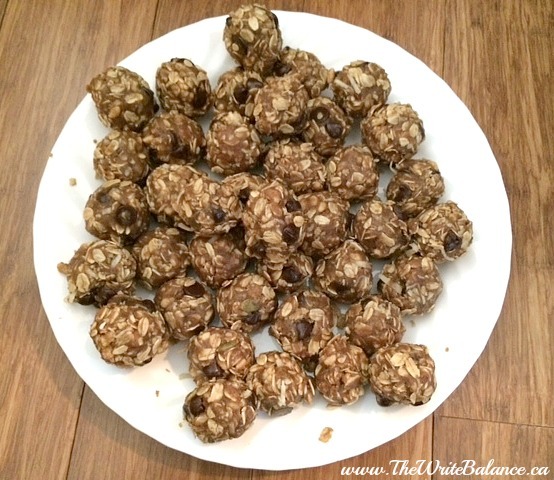 You will end up with between 30-40 Pumpkin Granola Balls and if that’s too many, just pop them in the freezer for a quick, healthy and delicious snack down the road. I like granola but I don’t like pumpkin. My family would like it. I’m the odd one out not liking pumpkin. Yum! These look delicious! I like the idea of making a big batch and freezing them. I might have to try it! I hope you enjoy them Shelli! Well, I do not like pumpkin – and too bad about that, as it grows really well where I live in upstate New York. But the basic recipe sounds really nice – all I would need is a substitute for the granola. Those look absolutely delicious, healthy, and not too hard to make. Thanks for sharing the recipe. Glad you liked the recipe Susan. Wow – they look really tasty. Like the idea there was no baking involved to make them = super easy to do right? 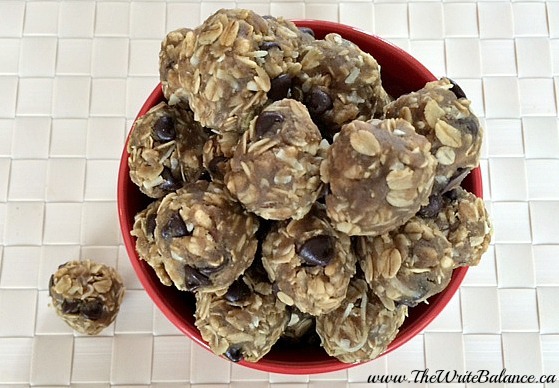 No bake makes it a lot faster Victoria! This looks like it could be adapted for low-carb too. Will add this to my low-carb pinterest board to try out. Hope you enjoy it Jenn! It’s my first visit here and lucky me because these Pumpkin Granola Bars look amazing. I will definitely be looking around to see what other goodies you have and I will see you around the marketing Challenge Group. Thanks for stopping by Denise. These LOOK great but I don’t know if I love pumpkin enough! I will have to try and see 🙂 Thanks for the recipe!!! Do you store them in the fridge? Yes, you can store them in the fridge. And pumpkin milkshakes sound delicious! I’ll have to try one. I’ll bet my 16 will make these for me. She LOVES pumpkin. A bit of chocolate is always good! What a fun recipe! I remember your watermelon recipes from the summer. Is this the start of a new cycle of pumpkin recipes? If so, then yum! The chocolate earth balls sound delicious!